When they aren’t working in the Office of Admission, Maya and Lyndsey (Pride Guides and drama performance majors) are singing and acting their hearts out. Recently, they performed in Hofstra's production of HAIR! “Working on such an inspiring show was amazing," said Lindsey. "Being surrounded by so many people who are putting in all this effort to produce a great show was an experience like no other." The process of putting on HAIR started well before fall classes began. “We did research over the summer about the show and watched a number of documentaries about what it was like in America during the Vietnam War,” said Maya. Lyndsey says her favorite moment from this whole experience was the first day the cast was on the set for tech. “It felt like we were stepping onto this amazing playground for the cast to grow their story around. It was so cool to see everyone really become their characters." 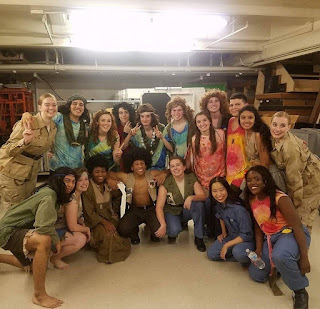 Pride Guides Lyndsey (top left) and Maya (top row, fourth from right) in Hofstra University's main stage production of HAIR. Both said that the show itself really relied on the ensemble becoming a tribe - a family. 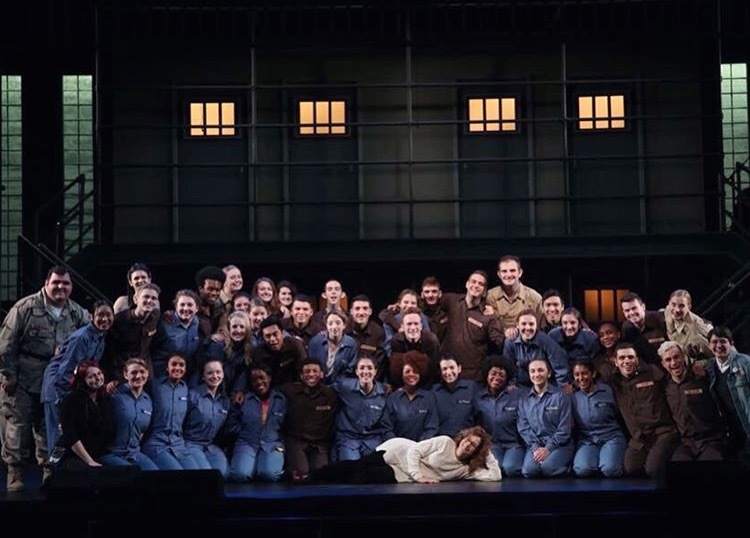 And after rehearsing for over two hundred hours together in Emily Lowe Hall and the Adams Playhouse, you can bet they did, in fact, become a family. 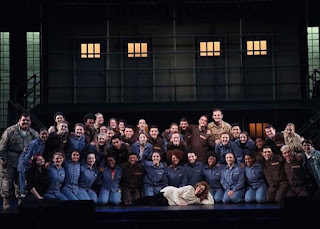 “The show has such a powerful message, and the opportunity to be a part of spreading it was life-changing."